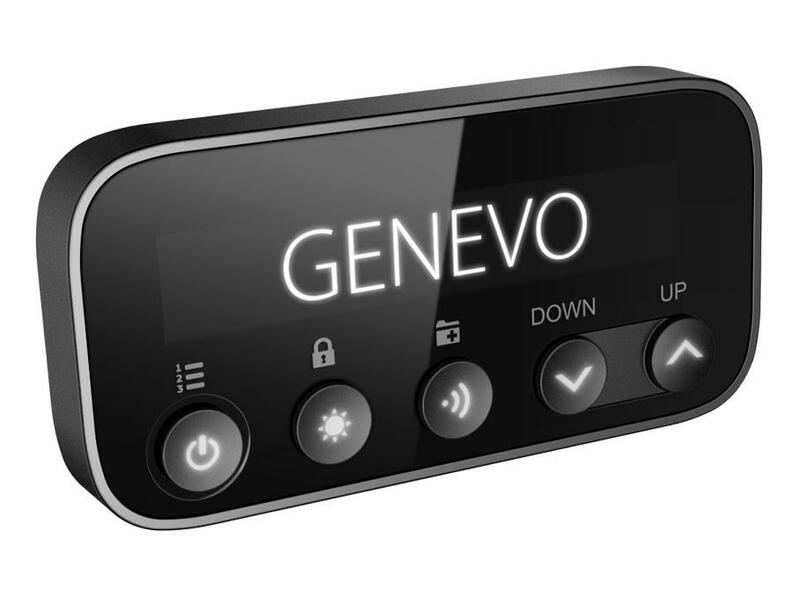 Two radar antennas can be connected to the Genevo PRO. You can use one Genevo HD+ antenna vertically for the best radar detection in whole Europe and another HDM+ antenna positioned horizontally for the detection of the MultaRadars CD/CT, which are used for example in Slovakia and which other detectors have difficulty detecting and Gatso RT3/RT4 radars. As an alternative, one radar antenna can be installed in the front and another one in the back for better detection on both sides. Complete 360 degree radar protection. Front and rear arrows on the display inform you where the threat is being detected for radar and laser alerts. There are few countries where the police may not appreciate having the Genevo PRO in your vehicle, which is why it has a removable display. That means that if you need to deactivate the device in any situation, you can simply remove the display from the dock and put it, for example, in your pocket. Then the device becomes inactive. Only you can activate it again using the display. If you want to remove the whole dock, it is not a problem either. The only thing that is left then is the MicroUSB charger, which you can use for charging your mobile phone.